While no one reading this will probably ever be a Tiger Woods or a Nicklaus, some of us will religiously hit the golf course to try. While most just play golf for fun, the sport can stop being fun rather quickly when you become injured. The pros know the two main causes of injury while playing golf are poor mechanics and overuse. The more time you spend playing golf, the higher the risk for injury, but there are techniques, precautions, and little secrets to keep everyone safe on the golf course. 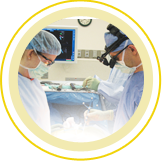 Our Specialists Max W. Cohen, MD, FAAOS, Thomas R. Saullo, MD, and Ruben Torrealba, MD, can help relieve lower back pain associated with sports injuries with a variety of non-operative and operative treatments. Even though golf is a low impact sport, or certainly should be, there are a significant number of golfers who are injured on the course. The most common injuries include those that affect the lower back, elbows, shoulder, wrists, and hands. To avoid unnecessary injuries never forget to warm up before you start and cool down when you finish playing. Take 10 minutes to walk, stretch your wrists, forearms, elbows, and take some practice swings especially if you have arthritis. Stretching provides more flexibility and improves range of motion. Use proper lifting techniques to remove clubs from your car. Jerking them out too quickly can injure your back before you even start. Keep your back straight and lift with your legs. High rates of shoulder and back injuries result from carrying golf clubs. One simple suggestion is to take golf lessons. Poor mechanics is one of the prime reasons golfers injure their joints and muscles. Work on your swing. Use your entire body when swinging so your movements are coordinated. If a golfer is not employing the proper technique and continuing to do so repeatedly, stress is placed on the same muscles, tendons and joints. Develop a smooth swing using all your muscles together. Avoid overemphasizing one part of your body as it can lead to injury. Avoid neck and back strain by developing the proper posture. Your spine should be straight, trunk should be slightly tilted forward, with most of the movement in the hips. Don’t hunch over the ball. Don’t overdo or over-swing. Hitting it hard doesn’t necessarily make it better. Learn to relax and not stress your joints. Similar to how football players have to know what’s going on in order to stay in the game, golfers also need to be aware of their surroundings. Watch out for other golfers, especially younger and less experienced ones to avoid accidental injury. Know what and who is around you before you swing. Check front, back, and both sides. Be sure your equipment is properly fitted. Keep your feet well inside the golf cart. Stay hydrated, avoid alcoholic drinks, and use sunscreen. Remember to cool down appropriately to avoid any risk of muscle and joint injury. Playing golf offers multiple health benefits from improving stamina to muscle endurance. You may aspire to be the next golf super star, but stay safe while you do it. 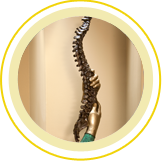 See the Spine and Scoliosis Specialists immediately if you are experiencing any pain after playing a round of golf. Call us today at (336) 333-6306 or request an appointment online. This entry was posted in Spine Tips/FAQS and tagged back pain, Golfing, Spine. Bookmark the permalink.